E. Basil Jackson, a learned scholar of Irish roots, has gleaned the pages of sacred history and selected noteworthy words from esteemed and respected leaders of the Christian faith. A reader of history and medical practitioner, Dr. Jackson is a respected academic with multiple doctorates from major universities. As such, he has made significant impact in the field of integration of religion and society. A well-traveled man skilled in several languages, Jackson has ministered to both the physical and spiritual needs of needy people around the globe. The sayings, collected in this volume, come from revered men of historic statue who made significant contributions to the spiritual welfare of those they served. 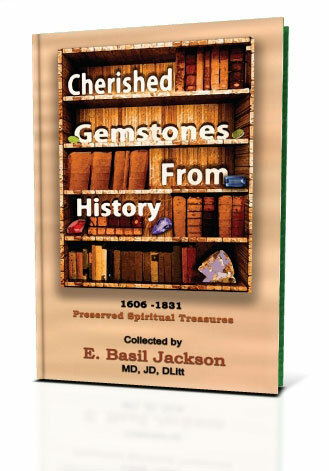 These cherished gemstones, lifted from the written record of church history (1606 to 1831), are timeless words of counsel and encouragement for every generation.